Jim wrote 'Taken at 11:00 on 17 September 2014. 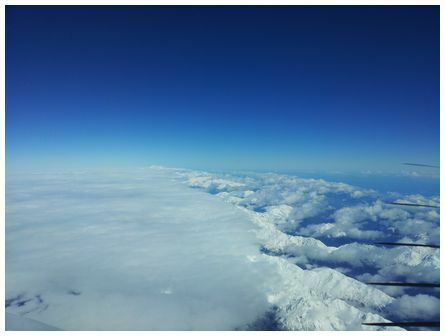 Heading south at 24,000 ft over the Main Divide, with Mt Cook in the distance. 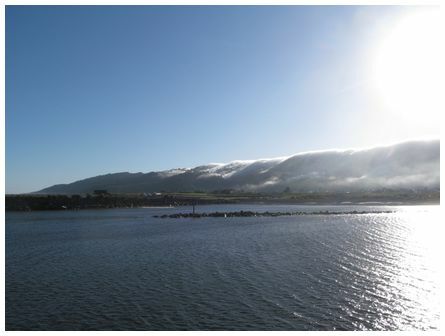 Normally see the West Coast covered in cloud with the east clear; this time the east coast was under a blanket of stratus in a light easterly flow, with some cloud appearing to leak through the mountain passes on to the West Coast. 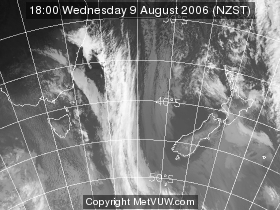 This cloud stopped in a well defined line along the Tasman coastline. 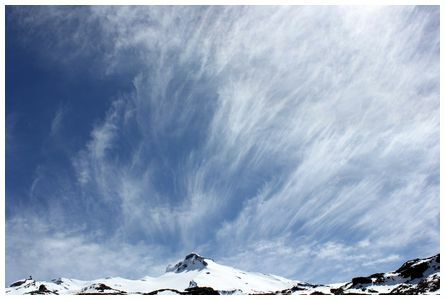 'Cirrus above Ruapehu from Tukino (SE Aspect), taken on 30 September 2014' wrote Sue. 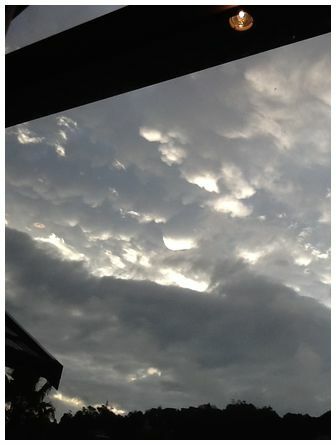 This photograph entitled 'In the clouds' was taken on 16 September 2014. 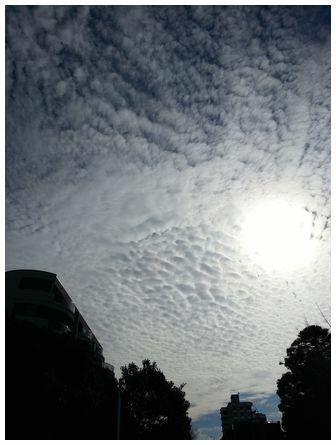 'Stratocumulus Clouds taken in Takapuna at 14:44 on 26 August 2014. 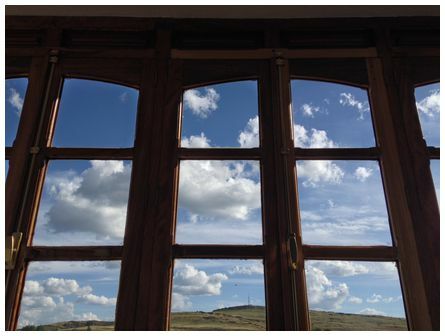 Samsung Galaxy S3 wasused to take the photo' wrote Andy. 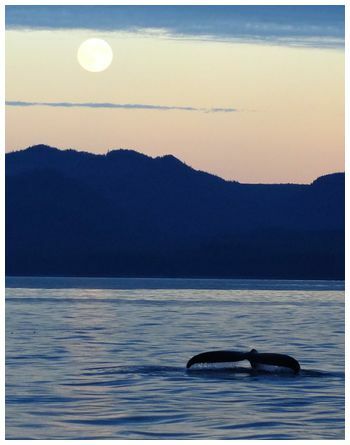 'A whale of a tale near Admiralty Island, Fredrick Sound, Tongass National Park, Alaska, taken on 13 July 2014' wrote John.